Sits between Renegade and Cherokee in Jeep range. Available with 1.4-litre MultiAir petrol engines. Reasonably well equipped. 4WD Trailhawk very capable off road. Front wheel drive Jeeps tend to be all show and no go. Disappointing to drive. 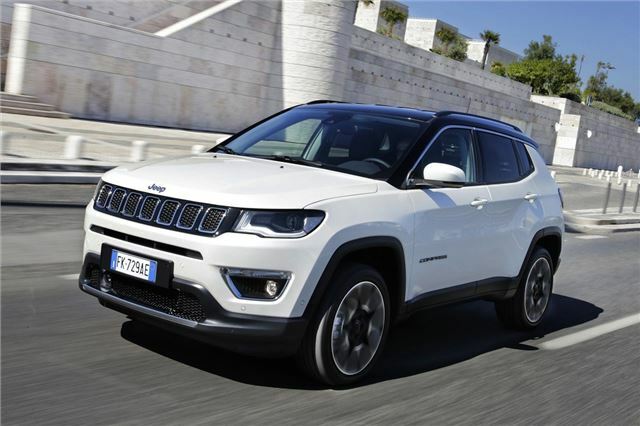 The 2018 Jeep Compass comes with two petrol and two diesel engines for a total of eight different powertrain combinations and four different configurations: Sport, Longitude, Limited which is the top-of-the-range trim in terms of refinement, standard technological contents and equipment. Trailhawk, offers effective Trail Rated 4x4 capability. The driver's instrument cluster features a 3.5-inch or 7-inch LED driver information display. The full-color 7-inch screen displays information that the driver can configure for easier access while driving and is standard on Limited and Trailhawk models. The 2018 Jeep Comapss comes with two advanced, intelligent full-time 4x4 systems: Jeep Active Drive and Jeep Active Drive Low, the latter with 20:1 crawl ratio. Each system can send 100 percent of available torque to any one wheel when needed. The Compass also features a disconnecting rear axle and power take-off unit (PTU) - in order to provide 4x4 models with enhanced fuel economy. Both Jeep Active Drive and Active Drive Low 4x4 systems instantly engage when 4x4 traction is needed. The Trailhawk model also features increased ride height of almost 2.5 cm, skid plates, red rear tow hook, unique front and rear fascias that deliver 29.1 degree approach, 23.7 degree breakover and 33.1 degree departure angles, aggressive 17-inch off-road tires and up to 22.9 cm of ground clearance.